The Boston Cannons are a Major League Lacrosse (MLL) professional men's field lacrosse team based in Boston, Massachusetts. They have played in the MLL since the 2001 season and won the MLL Championship in 2011. From 2006 to 2008, they were in the Eastern Conference. From the league's inception in 2001 through 2005, they were in the American Division. With the MLL contraction for the 2009 season from 10 to 6 teams (due to the state of the U.S. economy), there is currently only one division/conference. The team's home field is Gillette Stadium, but played at Harvard Stadium prior to the 2015 season. 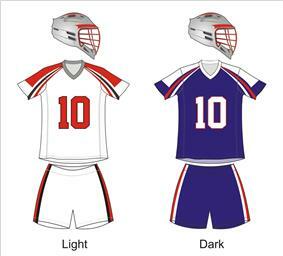 The Boston Cannons is one of the original six teams of Major League Lacrosse (MLL). MLL was founded by Jake Steinfeld, Dave Morrow, and Tim Robertson. The Boston Cannons Founder and President is Matt Dwyer. From their inaugural season of 2001 through 2003, the Cannons played their home games at Cawley Memorial Stadium in Lowell, Massachusetts. In 2004, they moved to Nickerson Field at Boston University where they played through the 2006 season. In 2007, they moved to Harvard Stadium in Allston, a neighborhood in Boston, Massachusetts which is less than 2 miles from Nickerson Field and also less than 2 miles from the Cannons' main office in Boston, Massachusetts. The Cannons won the MLL Championship for the first time in 2011 after going 9-3 in the regular season. Boston qualified for the MLL playoffs 2001, 2002, 2003, 2004, 2005, 2006, 2009, 2010 2011 and 2015. The Cannons won the 2004 and 2005 American Division championships. On March 20, 2007, the Cannons completed a trade with the Washington Bayhawks. In the trade, the Cannons gave up Connor Gill and Ryan Curtis and in return they acquired Michael Powell, Ben DeFelice, and a 2008 conditional draft choice. After the 2008 season, Powell left lacrosse to pursue a career as a singer with his band "Villains Trust". The Cannons selected Paul Rabil as the first overall pick in the 2008 MLL Draft. The Cannons often reach out to the local community, hosting a variety of lacrosse camps and events for local youth. In addition, the Cannons support MetroLacrosse (metrolacrosse.com), their official charity, by arranging scholarships for MetroLacrosse players and donating tickets for each home game to MetroLacrosse players and families. MetroLacrosse also maintains a booth in the Fan Zone for each home game. 27 Kevin Buchanan Attack 5-11 180 lbs Ohio St.
^ "Cannons move to Harvard Stadium". BostonCannons.com. Retrieved 2007-05-15. ^ "Cannons get Powell, DeFelice & Pick". BostonCannons.com. Retrieved 2007-05-15.